In our final blog of the week looking at England Rugby’s early exit from the 2015 World Cup we look at who could take the head coaches role if Stuart Lancaster leaves the job. England have the chance to get back to winning ways in the 2016 6 Nations Championships. 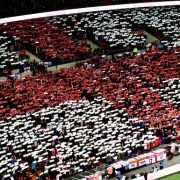 Eventmasters are delighted to offer official Twickenham hospitality packages for England v Ireland and England v Wales. Don’t miss out on our fantastic Six Nations hospitality packages for these two exciting encounters. The man who led South Africa to success in the 2007 World Cup has been linked with the England job in the past. White has a superb track record in both the international and domestic game. His first major success came in 2002 when his South Africa under-21 side won the 2002 World Cup. He took charge of poor Springboks side in 2003 and completely changed their fortunes, bringing in a core group of young stars including Bryan Habana and Schalk Burger, who would form the backbone of the South African side for the next decade. He guided them to the 2004 Tri-Nations title and enjoyed several huge wins before the 2007 World Cup. There is no doubt that Jake White would bring a winning mentality to this group of England players. He has shown in his time with the Springboks that he can take a group of young talented players and mould them into a successful side. The prospect of White taking charge of this England squad is an exciting one indeed. We possess a powerful pack, with some electric backs and the 52-year-old could be the man to bring it all together. Northampton Saints supremo Jim Mallinder is one of the most respected and popular coaches in the English game. After guiding the English u-21 side to a Grand Slam in the 2006 Six Nations, Mallinder took charge of the Saxons team and won 15 out 16 matches before joining the Saints. He has gone on to build one of the most formidable teams in Europe, built around a core group of English stars. They have not finished outside the top four of the Aviva Premiership since 2009 and Mallinder masterminded an Aviva Premiership and Amlin Challenge Cup double in 2014. His style of play is built round a powerful pack who play with relentless physicality and pressure, qualities that would play to the strengths of the players he would have at his disposal. After building a strong relationship with his assistant Dorian West it would be hard to see Mallinder taking the job without his trusted number two. Mallinder would certainly be a popular appointment with Twickenham hospitality guests. In previous years many fans would scoff at the prospect of an Aussie taking charge of any England national team, but the RFU could do a lot worse than go for Eddie Jones. The 55-year-old is one of the most highly regarded and tactically intelligent coaches in the game. During his time in charge of the Wallabies he led them to the 2001 Tri-Nations and took them to the 2003 World Cup final, where they were narrowly beaten by England. He was an assistant coach to Jake White when South Africa won the 2007 World Cup in France and many feel his contribution was vital to that success. He also has experience of the English game from his time with Saracens. Jones is currently in charge of the Japanese national side and led the country to the biggest shock in the history of rugby, when they beat South Africa in the opening round of the 2015 World Cup. He has transformed the side and has gone for a brain over brawn approach, particularly at the scrum and line-out. For more information please see our Twickenham hospitality page.